Neil B. McLaughlin is an associate at Rakoczy Molino Mazzochi Siwik LLP. He holds a Ph.D. in Cell & Developmental biology. He also obtained a Bachelor of Science degree in Biology with a Minor in Chemistry. Dr. McLaughlin has experience in all aspects of Hatch Waxman patent litigation. Dr. McLaughlin has experience in all stages of discovery, and particularly expert discovery, where he has worked directly with expert witnesses with backgrounds in medicinal chemistry, medicine, synthetic chemistry and pharmaceutical formulation. Dr. McLaughlin also has experience with patent counseling, including freedom to operate, invalidity, and non-infringement opinions of counsel. In addition, he has patent prosecution experience in a wide range of technology areas, including but not limited to, humanized monoclonal antibodies, antibodies exhibiting extended half-lives, siRNA, nucleic acid vectors and various pharmaceutical preparations. In addition, he has acquired experience in trademark oppositions and trade secret litigation. Dr. McLaughlin’s graduate thesis research involved the study of contractile, cytoskeletal proteins in single-celled eukaryotic systems and while working on his thesis had the opportunity to teach laboratory courses including, but not limited to, Microbiology, Genetics and Developmental Biology. 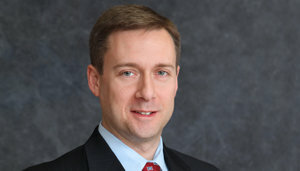 Before graduating from the Northwestern University School of Law, Dr. McLaughlin was a Postdoctoral Fellow at the National Institute of Child Health and Human Development at the National Institutes of Health, where he, among other things, analyzed gene expression and secondary gene modifications using high-throughput and standard molecular biology techniques, and performed extensive proteomic and genomic database analysis. Specifically, Dr. McLaughlin gained experience in designing and running chromatin immunoprecipitation (ChIP) assays with a variety of antibodies directed to histones (the protein component of chromosomal DNA); conducting chromatographic separation of proteins using a variety of chromatography columns; designing and running gel shift assays and other characterization assays on chromatographically separated proteins; designing and constructing various DNA plasmid vectors for the recombinant expression and isolation of proteins; purifying recombinantly expressed proteins; constructing cDNA libraries and using the libraries for the amplification of genes of interest; and employing site-directed mutagenesis to characterize potential transcription factor binding sites. Prior to joining RMMS, Dr. McLaughlin was an associate at Rothwell, Figg, Ernst & Manbeck, P.C. Y. Kim, N. McLaughlin, K. Wachter, T. Tsukiyama, & D. Clark, Activation of Yeast HIS3 results in Gcn4p-dependent, SWI/SNF-dependent Mobilization of Nucleosomes over the Entire Gene, Mol. Cell Biol., 26:8607-22 (2006). P. Eriksson, G. Mendiratta, N. McLaughlin, D. Clark, The yeast SPT10 gene encodes a sequence-specific DNA-binding histone acetyltransferase responsible for histone gene regulation, Chemtracts 19:87-99 (2006). P. Eriksson, G. Mendiratta, N. McLaughlin, T. Wolfsberg, L. Mariño-Ramírez, T. Pompa, M. Jainerin, D. Landsman, C. Shen, D. Clark, Global Regulation by the Yeast Spt10 Protein is Mediated through Chromatin Structure and the Histone UAS Elements, Mol. Cell Biol. 25: 9127-9137 (2005). N. McLaughlin and H. Buhse, Jr., Localization of tetrin, actin, and centrin to the oral apparatus and buccal cavity of the Tetrahymena vorax macrostomal form by indirect immunofluorescence, J. Eukaryot. Microbiol. 51: 252-256 (2004).